The Zebrano Shaving Set is crafted from sustainable sourced Zebrano wood and is known for its highly figured heartwood. The heartwood is straw-like in colour and distinctively marked with narrow veining or streaks of colour ranging from dark brown to almost black. These streaks give the heartwood a zebra- stripe appearance and its name. Zebrano wood was traditionally used for boat building and original skis, as it is tough, water resistant and decorative. The perfectly weighted razor features a Mach III blade and Silver Tip best badger hair is used to complete the brush. 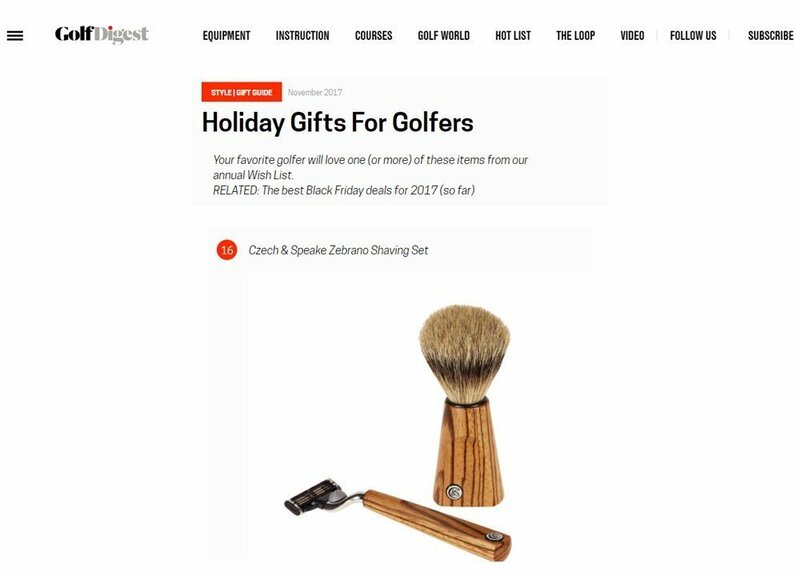 Head to their website and be inspired by the practical and beautiful suggested gifts for the golfer in your life, or for yourself.